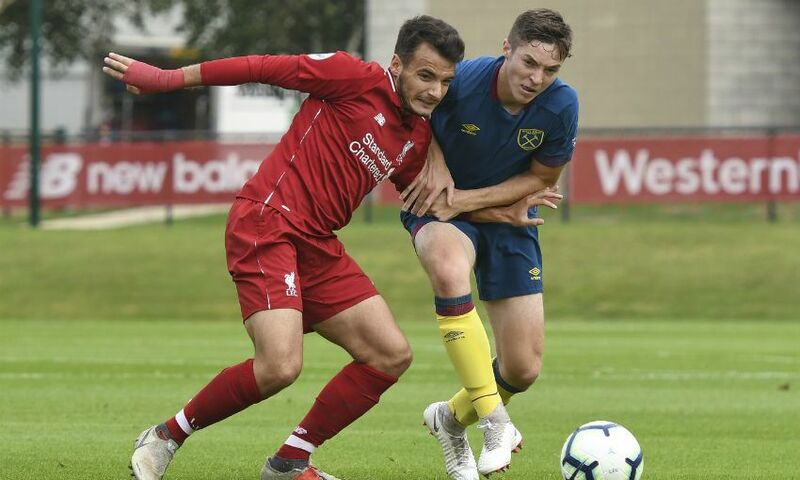 Liverpool U23s were defeated 2-1 by West Ham United at the Academy on Sunday. 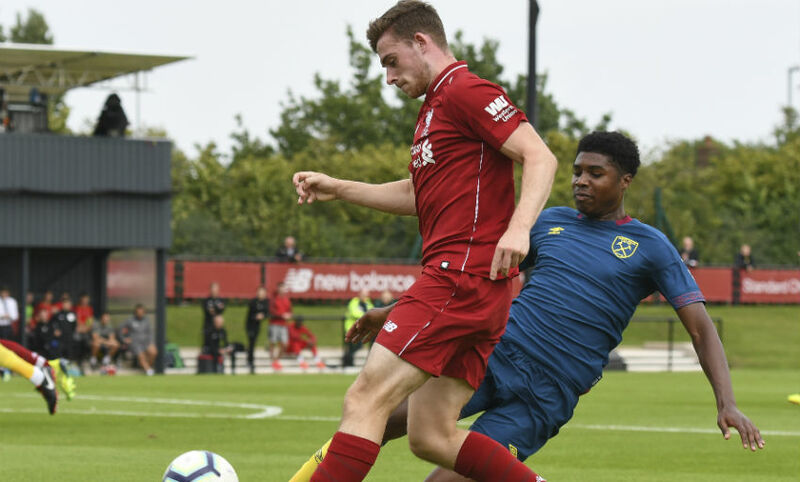 The young Reds created a litany of chances throughout what was a one-sided Premier League 2 contest, but were foiled by a combination of their own profligacy and an inspired performance by visiting goalkeeper Nathan Trott. After Reece Oxford had headed West Ham into a third-minute lead, Neil Critchley’s team took charge. 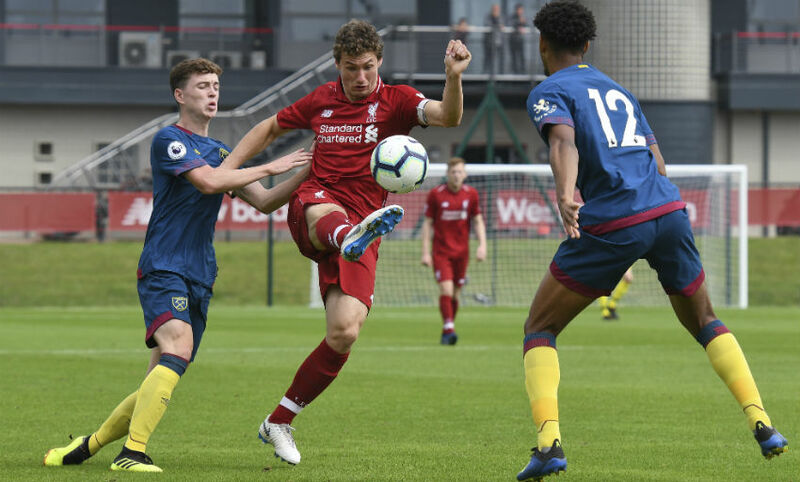 Captain Matty Virtue finally got the goal the hosts’ dominance merited soon after half-time, and a first PL2 win of the season looked to be coming. However, Oladapo Afolayan’s curling free-kick 17 minutes from time snatched all three points for the Hammers. Liverpool were caught cold when Oxford directed a looping header out of Caoimhin Kelleher’s reach from an out-swinging corner. Their response to that early setback was positive, however. Twice in quick succession Liam Millar got a shot away after accelerating clear down the inside-left channel, only for the forward to first be denied by Trott and then send his second effort wide of the far post. A deft pass by Isaac Christie-Davies afforded Millar another sight of goal in the 18th minute, but Trott was equal to the Canadian’s powerful strike. Bobby Adekanye tried his luck from an improbable angle after bursting away from his marker on the byline as the young Reds cranked up the pressure, and their best chance of the half swiftly followed. Tony Gallacher guided a cross in from the left that Virtue, surging into the box from deep, met on the half-volley 10 yards from goal. Somehow, though, Trott reacted in time to palm the skipper’s attempt onto the post. The second half started as the first had ended: with Liverpool in the ascendancy. Trott once again frustrated Virtue when he attempted to finish off a flowing move with a header, but the midfielder’s persistence was rewarded in the 54th minute. Adam Lewis, who impressed throughout in a central midfield berth, drove forward and fed a neat pass into his teammate inside the area. Virtue saw his initial shot blocked, but then fired the rebound in off the post. With Critchley’s side finally, and deservedly, on level terms, a winning goal felt likely. However, it was West Ham, not the hosts, who struck decisively, as Afolayan sent a free-kick into the bottom corner from 20 yards. Liverpool went close to equalising again 10 minutes from time, but the manner in which they were denied summed up their fortune - or lack thereof - on the day. Chirivella got on the end of Neco Williams’ searching cross and beat Trott, only to see his goal-bound volley inadvertently blocked by Millar. Liverpool U23s: Kelleher, Williams, Phillips, Johnston, Gallacher (Juanma), Chirivella, Lewis, Virtue, Christie-Davies, Adekanye, Millar (McAuley). Unused subs: Atherton, Masterson, Coyle.